Take a first look at our 2019 Caravan and Vehicle Awnings! Visit us at the Motorhome and Caravan Show! Its your chance to see the collections up close and check out our brand-new fabrics and features. 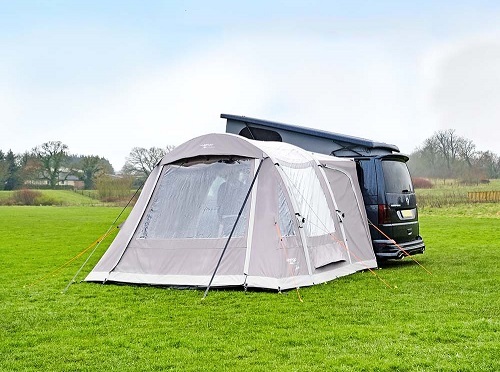 Come and visit the Vango team at Stand 36, Hall 17, where you will have the chance to chat to some of our experts about the collections, step inside our brand-new awnings and experience AirBeam demonstrations on our Varkala Connect. If you haven't been to the Motorhome and Caravan Show before, it is held at the NEC in Birmingham and will be open from Tuesday 16th to Sunday 21st October 2018. Opening times are 10:00am to 6:00pm every day, allowing you to explore what the show has to offer, and discover everything new for Vango. For 2019, we have more awnings than ever before and are excited to showcase these to you at the show! 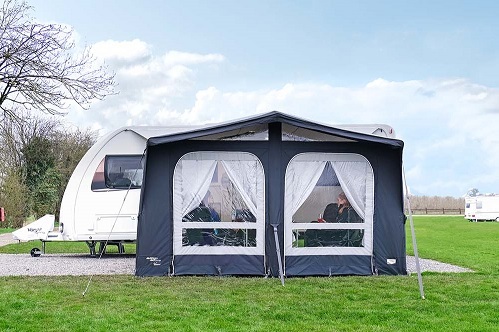 See our new Experience collection introduces new styles to the vehicle awning range, including powerlite poled and AirBeam awnings, great for first timers or even for those who go on short weekends trips. Our new polycotton vehicle awning collection will also be available to view at the Motorhome and Caravan Show, allowing you to get a closer look at this new fabric for 2019. If you would like to find out more about our awnings before the show, check out our latest blogs!